CHIRPING ABOUT CHICKEN WITH THAT ROSE… SHOULD IT STAY OR SHOULD IT GO?! When buying or selling a home one of the most common questions I get asked (other than “Where is the property line? Duh, look where the neighbor stops mowing the lawn.”) is what stays and what goes in the transaction. Yes, I get asked if, “are they leaving the coffee maker, what about the runner on the stairs, the original Hockney over the fireplace and the water-pick in the downstairs master?” You’d be surprised what some folks think they get to take and what others think should stay. So, if that Clash song is going through your head, “Should I stay or Should I Go” (and hopefully not because of that awful commercial for Choice Hotels) look no further, I have a legal expert here to sharpen the fuzzy details. THE FLAT SCREEN TV…. SHOULD IT STAY? Q1 – Hi Doug, often sellers and buyers aren’t exactly sure what stays and what goes with a home sale. I usually tell people, if it’s nailed, bolted-in or or otherwise permanently attached, it stays. Is that a good rule of thumb? Good rule of thumb. I also use the term “built-in” to describe items that stay. Q2 – What about wall mounted televisions? A good rule of thumb is that the wall mounts are fixtures and should remain but the TVs are personalty and can go – always best to be clear up front as this isn’t a straight forward issue and the buyer and seller might have a different understanding of it. Q3 – I recently had an awkward situation with a swing set. Do they usually get included with a sale? Q4 – I’ve also had people try to take the washer and dryer. That’s usually included in the sale with most contracts? Do buyers need to make sure they’ll be included? Unless specifically excluded up front by the seller, there should be no question about whether a washer and dryer (and other major appliances are included) – of course they are part of the purchase. Q5 – What about bathroom mirrors? My typical rule with mirrors is that they can be taken by the seller if they are hanging on hooks or nails, etc. ; if they are nailed in or bolted, then they should remain. Q6 – What do sellers and buyers need to do to avoid these sort of problems? Work with a good broker that knows what to look out for and knows which gray areas (wall-mounted TVs, swing sets) can cause problems/awkward situations down the road. If not negotiated properly and clearly up front this can become an unneeded problem. If you’d like to contact Doug he can be reached at his office in Amagansett. 631-267-2700 or via e mail at INFO@HAMPTONSLAW.COM. In the 80’s it was chicken wings, in the 90’s it was sushi and the 00’s it was cupcakes and Rose wine. BUT WHAT DO DRINK WITH THAT CHILLED BOTTLE OF ROSE!? What is the hottest food trend hitting the east end? It might be hard to believe but the delicacy of the moment appears to be Fried Chicken! I kid you not, in spite of the fact there is a line outside Soul-Psycho every week, those same spinners are are lining up and paying good bucks to chow down on Colonel Sander’s favorite dish. But there’s no Colonel Sander’s in the Hamptons (thank god, it’s not as good as you remember) where is the proof? Well don’t get your feathers ruffled and look no further than the lines at lunch time for Cromer’s Market in Sag Harbor. Every Saturday the Fried Chicken is first to go and the hungry hungry hippos….err I mean Hamptonites are lining up to get their hands on this caloric delicacy. Red Horse Market in East Hampton also specializes in a fried chicken that has become a favorite among some of the famous and non-famous locals. No names mentioned but one is a late night talk show host. EH GRILL … FLYING CHICKEN! For those with more epicurian tastes, the number one rated restaurant in the country Eleven Madison Park is offering a “Fried Chicken Feast” with coleslaw, rolls, potato salad, pickels, water melon and fresh baked pie all for the frugal price of $75 dollars a person. By the way, reservations are required (hahahah good luck with that one) and shock of all shocks…. gratuity is not included. East Hampton Grill which is arguably the most popular eatery in the Hamptons right now is also putting their feathers in the ring with their new “Flying Chicken” menu. All summer long starting at 11 am, you can order their “Grandma Ding’s Cripsy Fried Chicken” to go. Prices start at about $12 for 3 piece and buscuit lunches and go up to $48 for 12 pieces and 6 buscuits. You can also get their famous cole slaw, tabbouleh salad and sodas and sparkling water to round out your poultry party pack. The food is for take out…. and some limited seating in the restaurant. Click here for more details. HATE CROWDS? NO RESERVATIONS?! NO PROBLEM!! A QUICK GUIDE TO HAMPTONS DELIVERY! One of the things I like least about summer in the Hamptons is the crowds. While I’m not an agoraphobic, the idea of dealing with traffic and pushy patrons is sometimes more than I can handle. Besides, I get extreme guilt leaving my dogs behind… because they like to party as much as the next animal. So, unlike NYC where you can have a cup of coffee delivered for free, finding door to door service out east is a little more difficult. Virtually nobody delivers in the Hamptons. I know White’s Pharmacy delivers… but cough drops and Metamucil don’t quite satisfy my hunger like they should. What do you do when your cupboards are bare, traffic is backed up and everybody is hungry? Well, here’s the skinny on getting chubby without leaving home….. There are two.. repeat only TWO Chinese restaurants that I think are worth the weight in MSG. Number 1 (631-726-8080) in Water Mill and Pheonix in Wainscott (631-537-0011). There are a few others in the area but one of them actually has Immodium on the menu which to me is a big red flag…OK I’m kidding. While my two recommendations aren’t exactly Shun Lee or Mr. Chow’s, they’re both good, hearty and reasonably priced. My personal favorites are the “scallion pancakes” at Pheonix and the “spicy chicken and broccoli” at #1. Both are the best Chinese delivery in the HAMPTONS! Although, that’s kind of like saying it’s the friendliest restaurant in France. When it’ comes to Pizza. There are no Domino’s in the Hamptons. Which is a good thing. But darn it, why is it so hard to get a pizza brought to your door on a rainy Saturday night!? Well there are only a few choices for delivery pizza at a good price. In Montauk, you have Sausages (631-668-1144) .. In Bridgehampton there’s American Pie (631-613-6177) in the Commons and Southampton has Paul’s (631-283-1861) and Melrose East. In East Hampton you have Pizza and Things Spring’s Pizza. Customers like it for their reasonable prices, friendly staff and fresh ingredients (631) 324-7974. Also in East Hampton, the Red Horse Market will deliver groceries or prepared foods with a $100 minimum purchase. I’m pretty sure you can get them to bring one of their pizzas to the door as well. By the way, throw a fresh mozzarella in there for good measure and melt some extra on the pie. If you’re looking for something a little more exotic you can try Saaz in Southampton. They deliver and according to some, they’ll go all the way to East Hampton. That’s a good thing too since the New York Times raved the food is “uniformly excellent… a long overdue addition to Hamptons dining.” Saaz – (631) 259-2222 – is located just as you come into Southampton on CR 39 at the former site of Mason Ole – where Montezuma always got his revenge! Saaz is a much better welcome to the east end! While I’m sure there are others that may deliver, this is the list I came up with based on my own personal experience and those I know around town. What’s wrong with Walbaums…. it’s Fresh Direct to the Rescue… and since most locals never see it, a peek inside East Hampton’s Baker House! Soviet Grocery or Walbaum’s check out line? I often compare the Walbaums in East Hampton to a soviet era grocery store. I’ve done it before and I’ll do it again. The selection is thin and it takes an hour in line to buy a loaf of bread. Now, I don’t blame the employees there for the chaos of this EH establishment. They are for the most part an overworked and very friendly bunch. The problem is the fact that on a typical day, there are two cashiers scheduled at the height of the rush hour along with those stupid automated self-checkouts that are rejects from Spacely’s Sprockets! OPEN THE POD DOOR DAMN IT! It’s enough to make someone go postal!! I’m not even going to mention the “wages of fear” parking lot! I primarily do most of my dinner shopping at The Red Horse Market, which I love. But they really don’t have a great selection on things like paper towels and k-cups. Thus I’m always running to in EH. If only King Kullen were closer! But soon I’ll have an alternative. 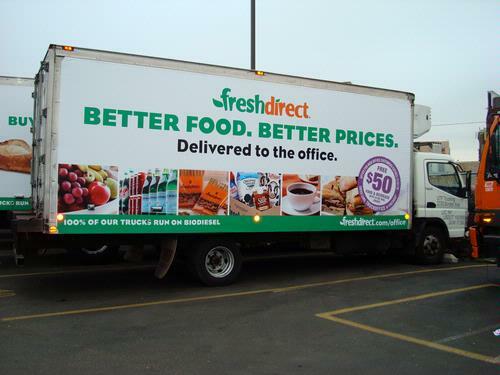 According to their website, Fresh Direct will be firing up their Hamptons service next week. So skip the lines… avoid the aggregation and spend more time on line reading this blog and ordering on line!! I don’t often like to admit this but I grew up going to the Jersey Shore. But my Jersey Shore was not the one of Snookie and The Situation. So when I get calls from friends who want to come visit the east end for the first time I have to explain there are no Hyatt’s, Hiltons (well except Paris in SH sometimes) and W’s. Here in the Hamptons, the choices are fewer but that doesn’t mean there aren’t exceptional places to recommend. Since most of you who read this have never been inside any of the resorts or B and B’s out here (unless of course you love afternoon delight) I’ve taken it upon myself to give you a little education and preview. So you can feel confident telling your friends the perfect place to rest their heads after a day of sitting in traffic on 27. My first preview is of East Hampton’s Baker House 1650. You can visit their website for rates and reservations and click below for a video preview starring yours truly! Hamptons Showdown Part 1… why, where and how much! And MANGIA in E. Hampton! Well it’s that time of the year where you need to mark your calendars and your Marc Jacobs outfits to what weekend benefit you’re going to hit this coming summer. If you ever saw that mini-series by Barbara Koppel “The Hamptons,” you know it’s all about the benefits. What you wear, who you’re seen with and what publication takes your picture! Since there are so many benefits this summer, I’m going to break this into two parts this summer and give you the pluses the minuses of this summer’s benefits. Kicking it all off on 5/26/12 is Miracle House Summer Kickoff – Miracle House is a non-profit extended stay facility that provides housing, counseling and support for those seeking treatment in NYC and need assistance. The location is the Bridgehampton Surf an Tennis Club.. and this is a huge event. While it started as an AIDS charity and therefore has a strong gay following, it benefits everyone from young to old with any illness. Tickets start at $300 and go up! The best reason to go: Taylor Dayne will be performing live and it’s a ton of fun for a great cause. Potential Reason to skip it: Most of the “boys” will be better dressed than you and in better shape! Barkers Island Road in Southampton It’s one of the more mellow benefits of the season but it’s a who’s who’s mixer for everyone in Southampton. Tickets once again go for $300 and up. The best reason to go: The furniture in the silent auction is amazing stuff… they’re are also great trips and everything from teeth whitening to fishing trips available! Potential reason to skip it: The auction items here don’t go for TJ Maxx prices (it’s the Hamptons folks, people are generous) and the tooth whitening I won two years ago cost me like $20k after the dentist discovered my need for 3 root canals! The Retreat – Artists Against Abuse – The Retreat is a safe house for victims of family violence in addition to conducting educational outreach programs that advocate non-violence. It’s one of the more relaxed benefits of the summer and usually a great time! The benefit will be held at the Ross School facilities on Butter Lane (same as last year). Tickets start at $150 for the pre-party and go up from there! The best reason to go: The ART ! Hello everyone from Dan Rizzi (this year’s honoree) to April Gornick and Ross Bleckner have been featured at previous auctions. The selection is amazing. Potential Reason to skip it: Have you seen any work from Bob Ross of PBS fame? NO! Plus, add insult to injury, no potential fluorescent works to replace my Led Zepplin poster under the black lightt!!! American Heart Association’s Heart of the Hamptons – Widely recognized as a premier philanthropic and festive event in the Hamptons. The Heart of the Hamptons Ball has raised over $2.5 million for the American Heart Association since it began 15 years ago. The event is held at the Hayground School in Bridgehampton on Mitchell’s Lane. Tickets start at $500 and go up. The best reason to go: The Goody Bag is one of the best of the season! Have you seen any wrinkles on my face lately!? NO, that’s because I got this amazing moisturizer in last years bag! Potential Reason to skip it: Just because you devour every passed hors d’ourves at the cocktail hour doesn’t mean you have an inside track for winning those training sessions in the silent auction. FAT ALARM! Finally, according to their Faceboook page, the new and improved Red Horse Market is open for business!!! I’m totally psyched and once again Pasquale’s fresh home made mozzarella will be a staple for my summer dinner parties. The hours according to the page are 6am to 9pm! How cool, I don’t have to rush home from work to make a 6pm closing time!! The phone is 631-324-9500 if you want more details! MANGIA!! !